There have been many non-Upper Deck releases since UD's last release, many of which that have been non-spectacular, but here comes Ultimate Collection to remind us why Upper Deck's cards are the tops in the industry. But besides seeing things that aren't really there, I like the simplified look of the base card. 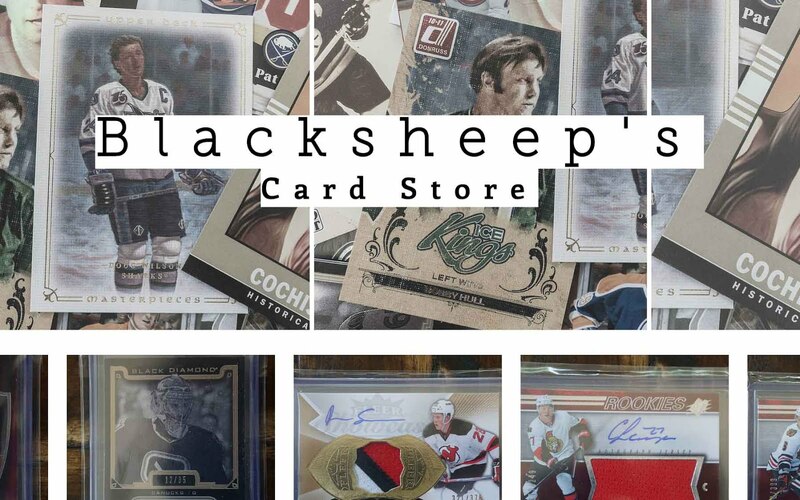 Upper Deck has chosen to use silver foil to highlight the important aspects on the face of the card like the player's position, name, and number. Silver is a great choice here because it goes well with both the ice hockey theme and the stark black and white look of the card. Each regular base card is limited to just 399. Rookie cards come in two varieties - signed and unsigned. The unsigned rookie cards are numbered to 399 and featured a design that is a spin off the regular base cards. The line contours under the player image follow the same contours as the regular base card. It's a subtle nuance, but let's the collector's know that these cards are related to each other. Very well done here by UD's designers. I really appreciate this detail here that ties the cards together. 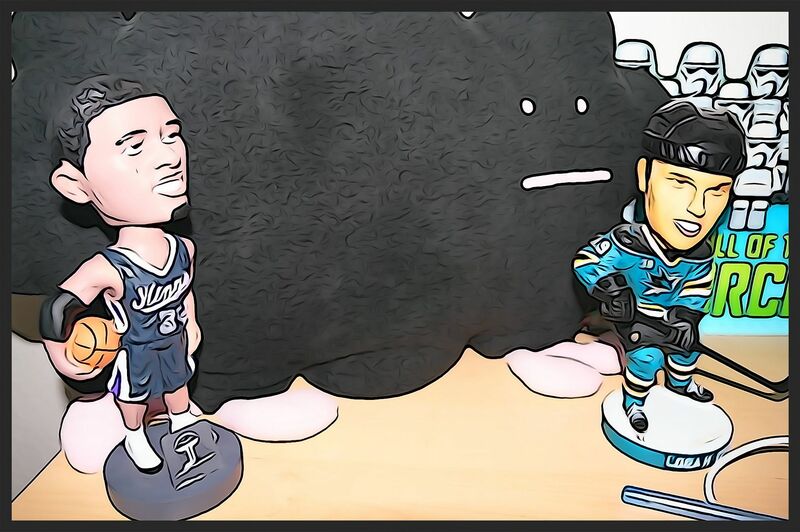 The autographed versions of the rookie cards are very similar to their unsigned brethren except for a few key differences. The obvious first difference is that the cards are signed. The autographs are on card - which is awesome. They are located in the space between the player and the bottom border. The space is a little small, but sufficient. The second difference comes in terms of numbering. The signed cards are limited to either 299 or just 99. 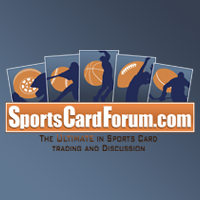 The hottest and most desired rookie cards receive the most limited treatment. And finally, the signed cards have a slight design difference. Instead of just a black bottom border, these cards feature the player's team's color. This design choice makes these signed rookie cards really stand out and look vibrant. Upper Deck has done a very nice job with the base set of Ultimate Collection cards. They have come out very slick and modern. If I had one complaint, I would say that they are a little too stark. 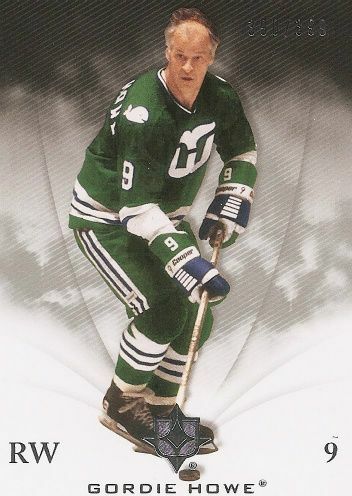 Taking some of the eye popping color choices from the rookie cards and incorporating them into the regular base cards could have elevated the cards even more. But that's just nit picking. UD Ultimate Collection base cards are very nicely done. 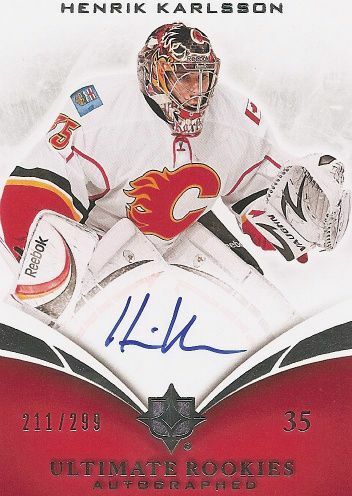 Unlike Panini, Upper Deck steers clear of insert cards that do not feature either autographs or memorabilia on their higher end releases. And this is exactly what you find in Ultimate Collection - lots of autographs and memorabilia cards. Each one pack box will net you at least one autograph and one memorabilia card. I really appreciate UD Ultimate because it is a product that consistently gives out good sized pieces of jersey or patch cards. 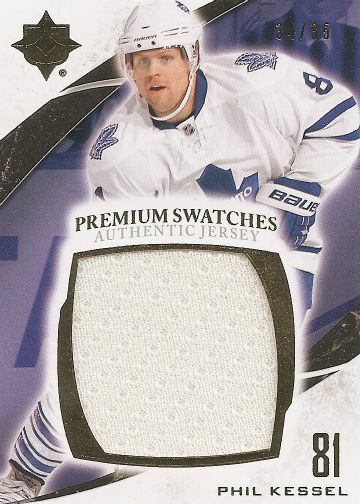 The Phil Kessel card above is a good example of a very large jersey swatch. It is bordered nicely with gold foil and the background showcases his team's main color. I'm amazed at how well the card comes together! 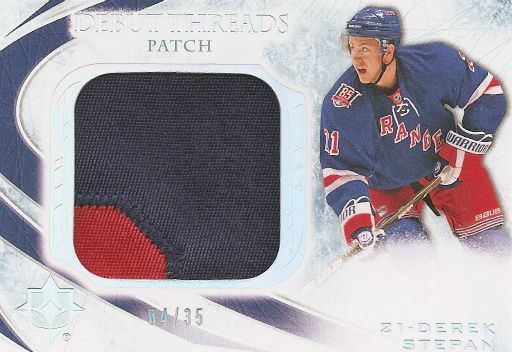 I have seen patch versions of this type of card with the window filled with an amazing patch. Those will definitely either sell for a premium on the secondary market or make a really unique addition to your card collection. Here's an example of smaller, but more plentiful, swatches on a card. Again, notice the use of the team's colors. UD always does a great job having the player and their team represented nicely on the card. 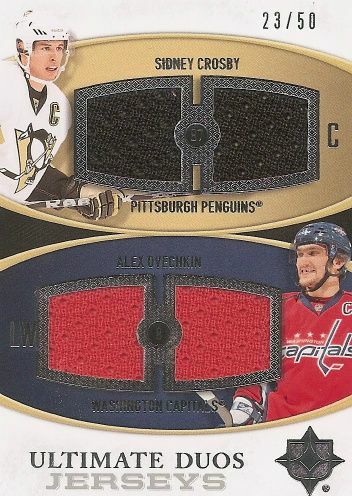 Above, both Crosby's Penguin's and OV's Capital's colors make it onto this card - and it's not distracting - it just works. And this is a beautiful card. 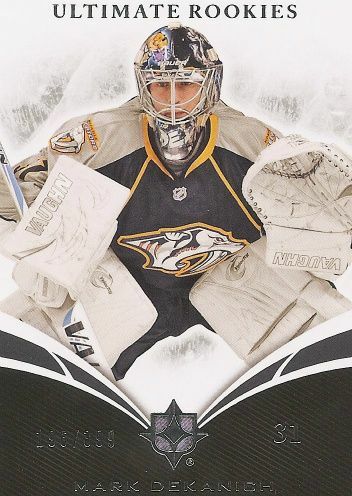 Again, there is a patch variation to this card that is more limited and more beautiful. Rookie material cards are also well represented in Ultimate this year. The Debut Threads series continues on this year and continues to look great. There are abundant opportunities to pick up your favorite rookie from this year's class on a great looking card. Like before, the Debut Threads come unsigned, signed, and with patch variations. ... it looked great!!! But I wish I had chosen that pack! Ultimate Collection definitely delivers on quality. It is a very solid, but pricey, product. Buying a box of it is definitely a risky venture, but an exciting one. I bought a three boxes last year and five this year. I have to say that in my three boxes last year, I got better cards than in my five total this year - but I did have fun opening all the boxes and seeing all the beautiful cards. And these cards are very beautiful. Upper Deck really does know how to put out a premium product. I definitely recommend buying some Ultimate if you can afford it. Even though you get so few cards per pack, these cards are worth it in my opinion. And who knows, a lucky big hit in this product could be huge in terms of trade or resale value. I'm of the opinion that this type of product is worth more of my money than buying a box of a mid-range product... I won't mention any names... but you probably know what I'm talking about. So try some out and let me know what you get! Check out some videos of me opening UD Ultimate Collection!